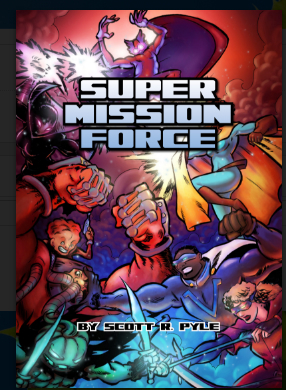 Super Mission Force (SMF) gives you the tools to run fast superhero skirmishes between teams of heroes or villains in a comic book world of your choosing. SMF utilizes the Goalsystem engine for fast and fluid play with a minimum of bookkeeping. We’ve written these rules for 28mm figures, but it’s really easy to halve all movement and ranges to accommodate 10mm or 15mm figures. This lets you make use of whatever figures you’ve got in your collection.